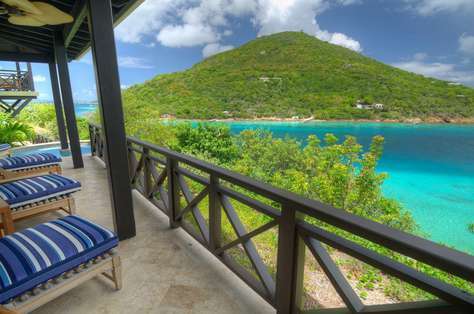 This bright and airy luxury British Virgin Islands villa sits above Honeymoon Beach on the northern edge of Marina Village. Situated near the resorts restaurants, lounges and water activities, this luxurious villa affords guests convenience, as well as privacy. 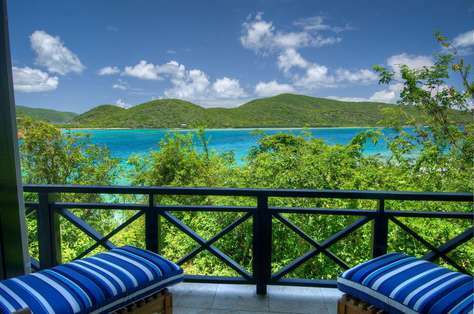 Residents of this luxury BVI villa can access Honeymoon Beach via a lovely walkway, complete with a deck overlooking Great Camanoe, as well as the protected waters of Cam Bay National Park, popular with swimmers and snorkelers. 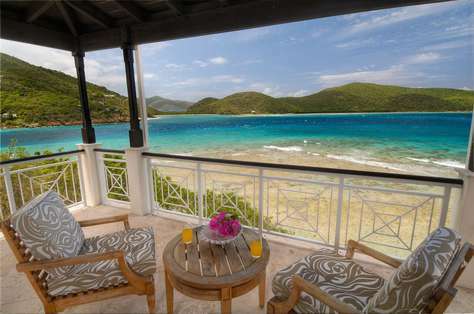 As its name aptly describes, The Cliff House is perched above the azure waters of the Caribbean. 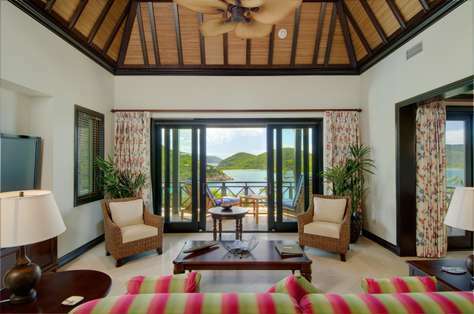 This BVI oceanfront villa is situated on the western edge of Scrub Island, guests can enjoy sweeping views of the island of Great Camanoe to the west, while watching sailboats tacking across Trellis Bay in the distance. Take the time to enjoy Mother Nature, especially the moon and its shimmering reflections. 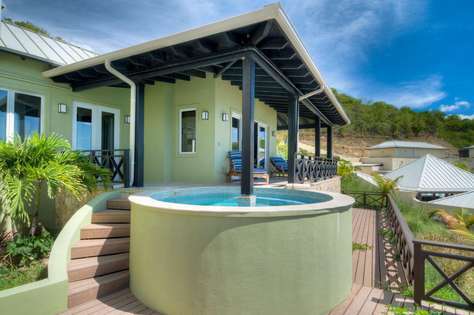 As its name implies, The Pool House luxury BVI villa “floats” above our resort’s signature two-level pool, with views beyond of the marina and clear blue waters of the BVI. Situated in close proximity to all amenities Scrub Island offers, guests can enjoy easy access to our 24-hour fitness center, Ixora Spa and our on-island restaurants. Relish the best of both worlds at The Pool House - all the activities you could want and the privacy of your very own villa. Facing southwest, The Mariner House luxury private villa BVI offers one of the most diverse panoramic views of all the luxury villas. Guests can watch a full spectrum of activities — the multi–level pool in the foreground, vessels in the marina, and sailboats dotting the horizon from Marina Cay to Trellis Bay to Grand Camanoe. This location is close to the action. But for those seeking privacy, it offers a third bedroom with its own entrance. 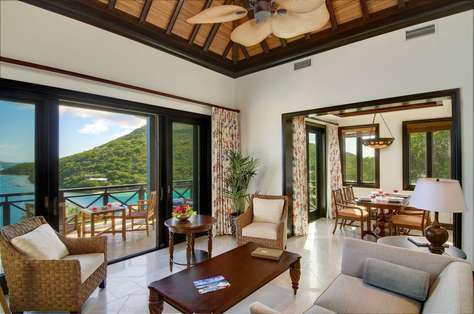 This incredibly spacious BVI luxury villa blends its natural surroundings with inspired interior design to create a relaxing yet sophisticated living space. Discover the intense colors of the sky and water in unobstructed views of Cam Bay National Park on the east side of Grand Camanoe, as well as of the Atlantic Ocean beyond our own Governor´s Point. 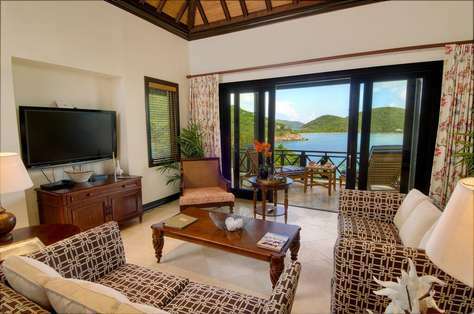 Two of the master suites offer private entrances and balconies assuring all guests a soothing and restful vacation. If privacy is of utmost importance, this villa is the perfect match. There's a sense of solitude but not confinement with this open design. As a bonus, this high-elevation location allows for spectacular views. Watch as the sun sets behind Grand Camanoe and Guana Island to the west.